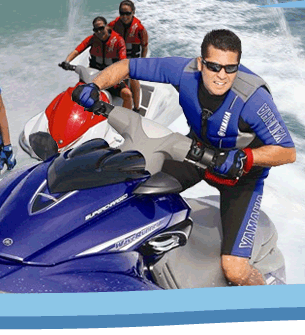 Daytona Beach's only jetski rental business that is licensed, insured and approved by Florida's Division of Boating Safety. 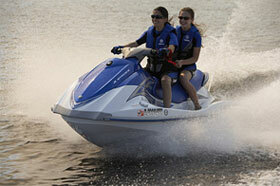 All new 3 passenger Yamaha Waverunners. We rotate our fleet every year to keep nice, new equipment available for your enjoyment. Our Riders safety is our number ONE priority. 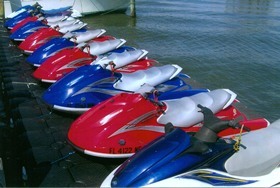 You ride in Daytona's only watersports area. 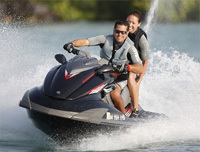 It is an area set aside by the city for jetskiing, so that you are not in the main channel with congested boat traffic or in the dangerous inlet area with sharks. Our Fleet of rental boats is sure to please every member of your family. 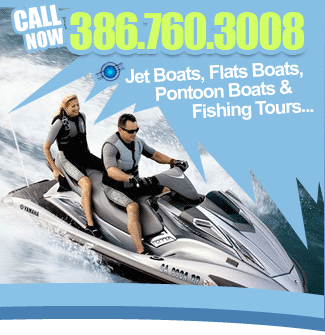 We offer the safest and best equipped rental boats in all of Daytona Beach. From our exciting Jet Boat, to the family cruising pontoon/deck boat, and the amazing custom flats fishing boat we welcome your stories of extreme enjoyment. 2011 is an exciting year on the water here in Daytona Beach, FL. 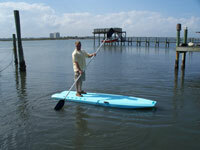 DaytonaJetSki.com is happy to be offering Stand-Up Paddle Boards. Stand-Up Paddle Boards are great fun and an excellent work-out. Some peple speak of "Core Work-Outs"... Well, isolate your core muscles groups while viewing Florida's serene waterscape. Cruising the river has never been easier, more affordable or more scenic. Making no noise is pretty essential when viewing marine life. Noise is never an issue when you don't have an engine. Doing it the "Old Fashioned Way", earning it in the Florida Sun. Keeping the noise factor down is a great way to preserve the natural state of the waterway as well as reduce polution. 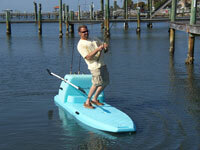 Since Stand-Up Paddle Boards are so quiet, they're ideal for fishing. Getting to the flats to catch the infamous Florida Red Fish is always a tricky endeavour and must be executed as quietly as possible. Not a problem with a Stand-Up Paddle Boat. Go where the fishing guides can't reach because it's too shallow. Grab the cooler and some lite fishing gear... You'll be cruising the flats chasing the "Bulls" in no time. 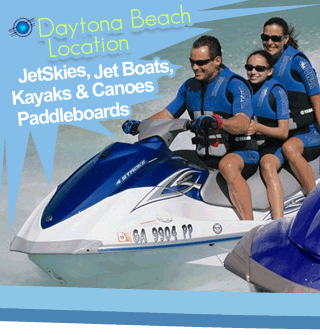 And, because DaytonaJetSki.com is a family-friendly establishment, if the JetSkis are too wild n' crazy, the Stand-Up Paddle Boards are too much work and you're not interested in fishing but you'd like to view the natural Florida waterscape, kayak is an excellent alternative. Sitting down is always more comfortable. Just be careful not to tip-over... HAVE A BLAST!!! © Copyright 2016 Blackson Consulting All Rights Reserved.